Four of Ghana’s main political parties have indicated their commitment towards ensuring transparency accountability, sustainability and management of the oil and gas sector. The ruling National Democratic Congress, the New Patriotic Party (NPP), the Convention People’s Party (CPP) and the People’s National Convention (PNC) last week publicly outlined their policy positions on the governance of the sector. The four parties, with support from the Natural Resource Governance Institute (NRGI) and the International Institute for Democracy and Electoral Assistance (International IDEA), have been involved in rigorous deliberations leading to the development of their respective policy positions on the sector. Mr Jantuah further espoused the CPP’s intention to streamline the participation of state companies in the sector to ensure value addition across the supply chain. “The CPP shall have a policy to ensure that revenue from the extractive sector is invested in a manner consistent with the development plan and policy objectives of the people of Ghana,” Mr Jantuah stated. 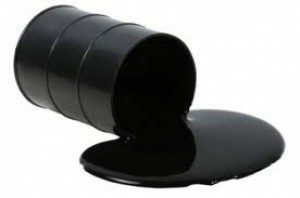 The NPP criticised what it called the lack of transparency in the award of oil blocks and the lack of information on the beneficiaries and owners of the oil blocks. The party promised to ensure transparency and accountability in the management of oil and gas resources. National Chairman of the PNC, Mr Bernard Mornah said his party will strengthen the Public Interest and Accountability Committee (PIAC) to facilitate public awareness and transparency. The PNC, he added, will create an exclusive transparency agency to be charged with contracting and procurement within the oil and gas sector. Dr William Ahadzie of the ruling NDC maintained that government had made significant efforts in instituting legal arrangements in the oil and gas sector, some of which were the promulgation of the Petroleum Revenue Management Act (PRMA) in 2011 (Act 815) and the Petroleum Commission Act 2011 (Act 821). Speaking to Dr Steve Manteaw of the Civil Society Platform on Oil and Gas on the side, he welcomed the forum, describing it as timely and useful, especially with the approach of the elections in November.